If you are looking for a colorful and fun poster of one of the most talented actresses to ever grace the big screen then look no further. 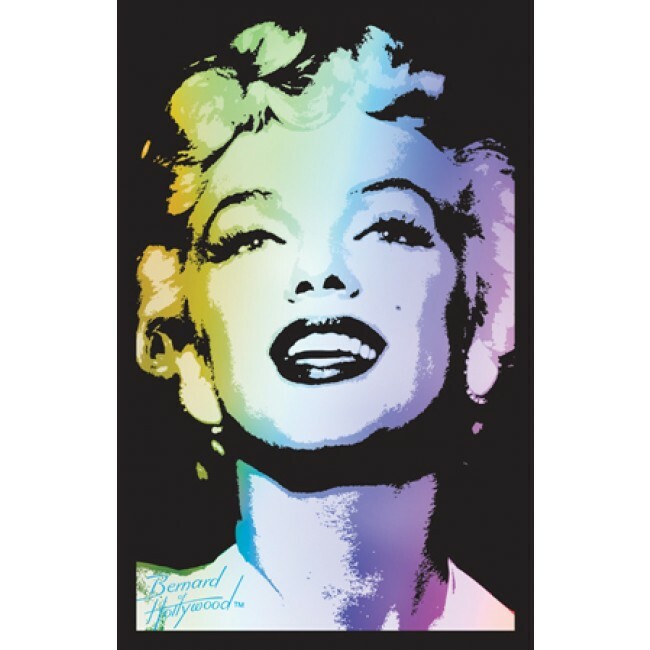 This Marilyn Monroe poster blacklight is just what you are looking for. The poster is a derivative of a photograph taken by popular photographer Bernard Hollywood. The photo had been converted to black and white and a blacklight was added. On the face of Marilyn Monroe an array of different colours blend into one another in a vertical gradient. The poster is a high quality print with clear printing and it measures 21.5 x 33.5 inches. This poster is a product of NMR Distribution.